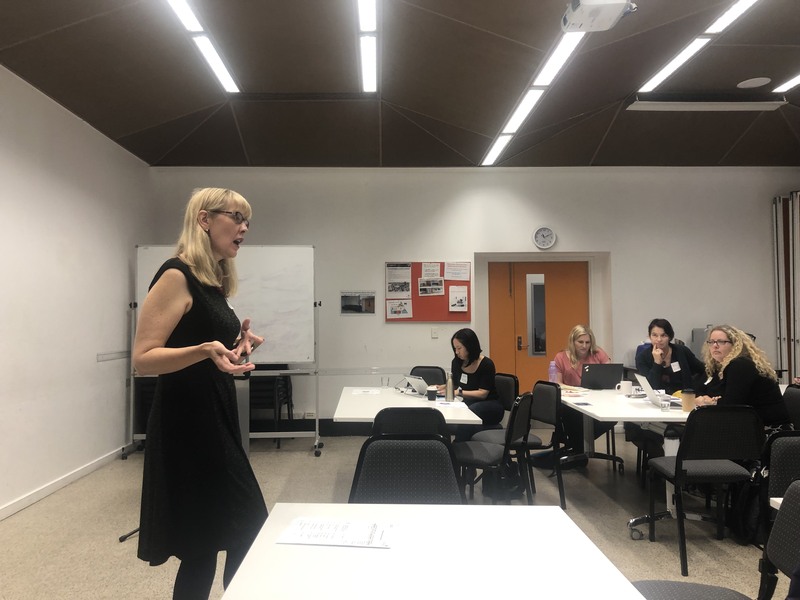 Last Wednesday, the Centre hosted the OPEN Forum: Connecting the dots of evidence-informed practice – strengthening service design and optimising data. This was a welcome opportunity to hear from Emily McDonald, Director of Client Services at Kids First, about their recent experience restructuring service delivery to strengthen outcomes for their children and families. Emily reflected on the journey of Kids First which started by identifying their definition of evidence-based practice. She then explored how they have developed a framework to embed this within their service, by creating multidisciplinary centres with a single point of entry for service users. Kids First applied their definition of evidence-based practice to their entire organisation, creating a theory of change to match their overarching values and ensuring this underpinned their approach to service delivery. Emily explored Kids First’s new model of service, one hierarchically divided into three domains: Prevention and promotion; Resource and Strengthening; Respond and Recovery, creating two multidisciplinary teams that can work across these domains, increasing the range of responses available to clients and broadening the scope of service delivery rather than forcing clients to fit into existing service offerings. For Emily, everyone with some stake in the process should be part of the conversation; children who access current services were invited to provide feedback to support the development of this new outcomes framework, keeping service users at the centre of the design process. The forum ended with an interactive activity that allowed participants to workshop a project relevant to their organisation, to better measure and achieve outcomes. The activity provided a space for reflection and consideration of the critical steps needed to ensure evidence-based outcomes within their own programs, such as knowing what their workers and clients need and choosing an outcomes framework that suits the staff, clients and overarching organisational values.